My main squeeze! 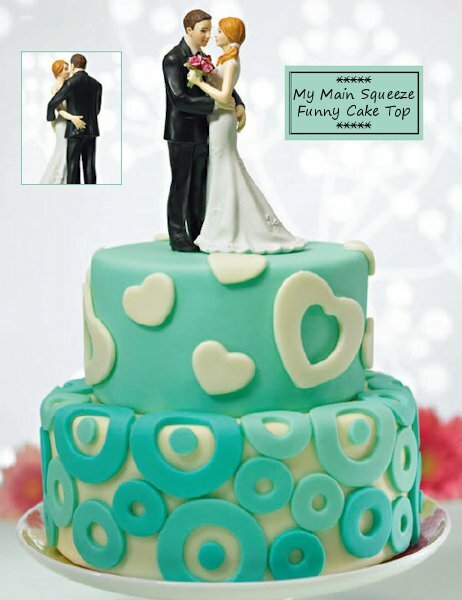 Perfect for the fun loving couple, what seems like a loving embrace from the front is really a playful squeeze in the back. 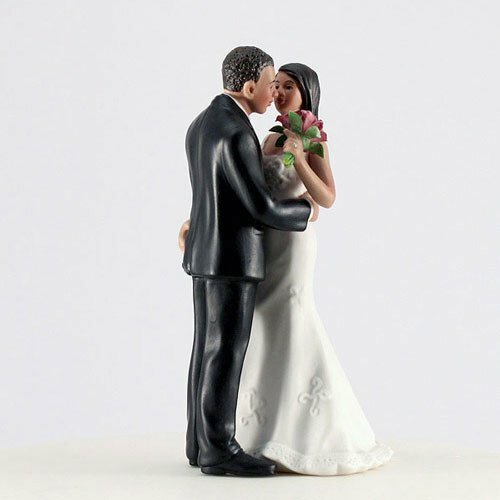 The couple is crafted from hand-painted porcelain bisque. 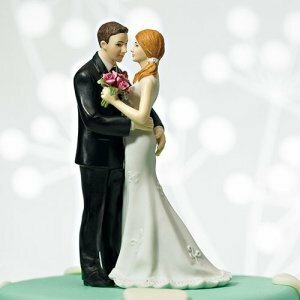 Sure to be a conversation starter, this playful bride and groom will enchant your guests. 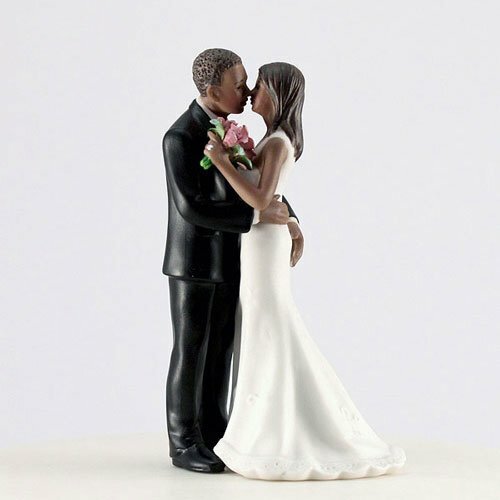 This funny wedding cake topper is available in 3 skin tones making it a great choice for African American, Caucasian, Hispanic and Latino couples! Product dimensions: 2.75" wide by 5" high. 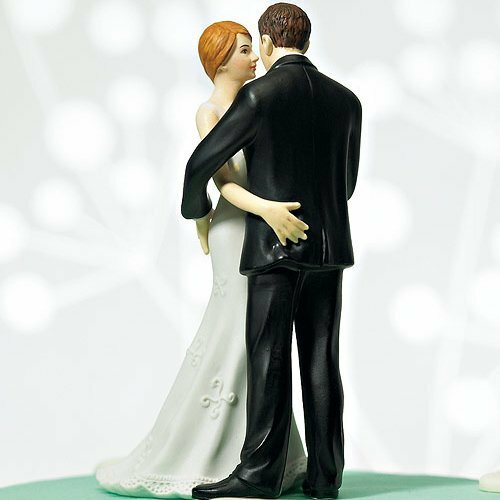 What is your return policy for wedding toppers?